Integrated Coach Training makes developing coaching skills easy. 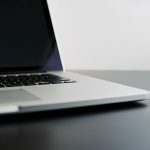 CoachNet’s online training is interactive, focused on the learner, skill-based, and delivered in bite-sized pieces that build upon each other. Training blocks lay out direct pathways to specific credential accomplishments. 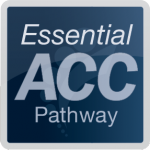 The Essential ACC Pathway takes you straight to an Associate Certified Coach credential in as little as 6 months. The Integrated PCC Pathway sharpens experienced coaches in preparation for the Professional Certified Coach credential. 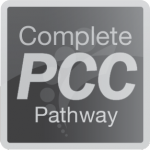 The Complete PCC Pathway is for the coach who knows what she wants. All the way to the PCC in one detailed training track! Learn more below. All of CoachNet’s Training is designated by the International Coach Federation as Approved Coach Specific Training Hours, so you can apply with confidence when it’s time for your credential! is 64 hours of coach specific training, focused on the fundamentals of coaching. Learn a repeatable conversational roadmap so you can deliver a high-quality coaching conversation every time out. Practice coaching in a lab environment with your instructor and your peers. Everything you need for an Associate Certified Coach credential. 64 hours of advanced coach training, designed to help you pursue mastery. Explore the full arc of a coaching relationship to support clients over time. Build habits for masterful coaching. Designed to emphasize the skills you’ll need to pass the Professional Certified Coach credential exam. All the way to the PCC in one carefully designed training track. From core fundamentals to advanced skills. Go as fast or as slow as you like. You set the pace! Available with optional mentor coaching to satisfy the mentor coaching requirement.